For his film The Reckoning (2004), Paul McGuigan adapted the 1995 novel Morality Play by Barry Unsworth. While it is a work of fiction and thus does not draw from any one historical event, the book, and therefore the movie as well, draws from the medieval social history of traveling theater troupes and their performance of plays. The movie follows a struggling acting group led by Martin (Willem Dafoe) and joined by on-the-run priest Nicholas (Paul Bettany); they exclusively perform morality plays. Morality plays were part of a dramatic genre of theatre in which “the characters personify moral qualities (such as charity or vice) or abstractions (as death or youth) and in which moral lessons are taught.” After performing another unsuccessful show, Martin insists on a more topical play and chooses the murder of a young boy that had just happened in the town. This decision turns out to open Pandora’s box. Nicholas believes the accused murderer to be innocent and his own investigation uncovers the truth that the actual murderer is the lord of the town Robert de Guise (Vincent Cassel). The film ends with the townspeople rising up and killing Lord de Guise. While not based in historical fact, this murder mystery can give the viewer interesting insight into medieval society as it is portrayed in popular culture, such as the relationship between nobles and the common folk and the archetypal roles that women play. For example, The Reckoning opens with an introduction to medieval English society that states: “Norman barons have ruled their domains with absolute power. Church and State speak with one voice – to maintain the existing order…” Though it mischaracterizes English society and its power structures, this statement maps out the themes explored in the film. These themes—on medieval power and those who abuse it— are made clear when comparing two scenes in particular: the sentencing of the accused, Martha (Elvira Mínguez), and the premiere of the new play based on the murder. When Martha is being sentenced by the Benedictine monk Simon Damian (Ewen Bremner), presumably a member of the ruling elite, the crowd of townspeople and peasants remain quiet. However, when the same group is assembled for the play, this time with the actors who are not in positions of power, the townspeople speak out against the injustice, casting doubt that Martha committed the crime, and that something was suspicious. This is reflective of the filmmakers’ view that medieval lords and those belonging to the ruling classes held a type of authoritarian-like power over the lower classes. This power is depicted in the film as cruel, especially in the scene where the mother of the deceased was not even allowed to see her murdered boy and when Lord de Guise, who admits to the crime, brags that he hurt the children with the help of Simon Damien because he could. The film also explores the perceived role of women during the middle ages. There are only three roles of any note given to women in this film: Nicholas’ lover (Marián Aguilera), Sarah (Gina McKee), and Martha. While each of these women play roles that have an effect on the story they are all ultimately relegated to the sidelines. Even though they are given little screen time, they fit into stereotypes of the medieval woman as described by Anita Kay O’Pry-Reynolds in her article: the seductress, the servant woman, and the devious woman (38-43). Nicholas’ lover, who is not even given a name, is only seen for the first five minutes of the film. In these five minutes she betrays her husband and seduces Nicholas, forcing him to forsake his religious vows. Sarah is the medieval woman constrained by her society’s gendered norms, as she has much to offer the acting troupe but, as a woman, is prohibited from acting. All the female roles go to Straw (Tom Hardy), and Sarah’s main role is to ask for money. Finally, Martha, the accused murderer, is cast out by society because he is believes to be a witch and thus evil. Martha is both deaf and mute and is completely helpless when it comes to her own defense. Her muteness may be symbolic of the hopelessness felt by a woman accused of witchcraft or wrongdoing during this period. While the critics saw The Reckoning as an average film, with Roger Ebert giving it three out of four stars and Rotten Tomatoes certifying it “rotten” at 40%, and it only grossed $257,252 during its 17-week run in theatres, it is still a worthwhile film. The murder mystery is engaging and it can give the viewer some insights into the medieval world of towns and playacting. 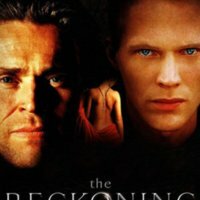 John Casey III, “The Reckoning (2004),” Medieval Hollywood, accessed April 19, 2019, http://medievalhollywood.ace.fordham.edu/items/show/122.